Drainage in a garden is so important. There is nothign worse than having a beautioful patio laid and waterpooling in one spot. Or a lawn that gets water logged. Or a drain that floods. Tackling drainage in a garden is one of the benefits you get when you use a proper qualifird landscaper. Having been a professional landscaper for 15 years I am all to familiair with rogue traders that have ‘knocked out’ a patio for a bit of cash in hand only to leave the garden owner with a patio that pools. On one occassion we were called to a site where the patio run off was draining into the neighbours garden by running under the fence. Did we careful where you are sending excess water to, local bylaws usually prohibit adding water from gardens to sewers or storm drains. Many types of drain you can use on a patio. 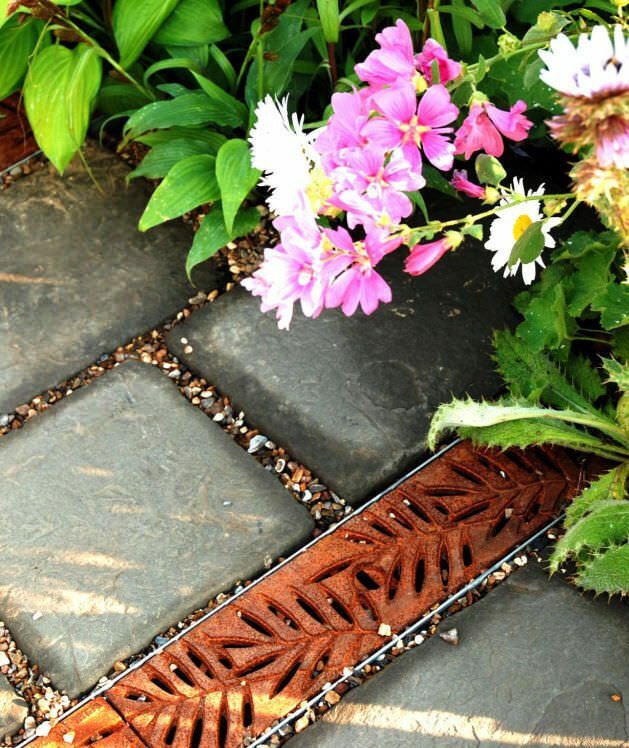 I really like this acco style grate drain from Lateral Design Studio. Both funtional and decorative it is a break away from regular drainage systems.